For connection of 9 fans with 3-Pin connectors to a 3-Pin connector e.g. on the Mainboard. 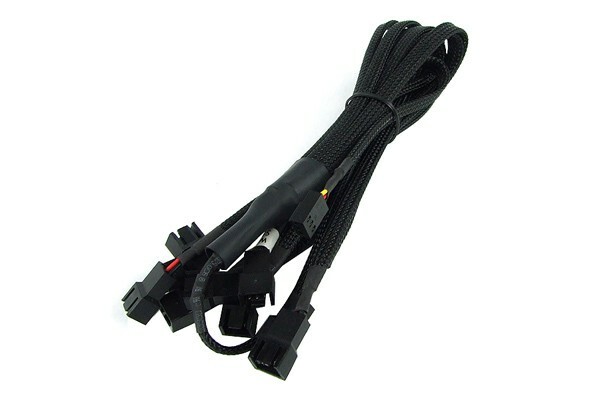 Please note that the speed monitoring of only one connected fan is possible with this adaptor cable. A white sticker on one of the cables shows which connector can be monitored. Please note: If connecting multiple fans to one fan socket by using these adapters please ensure that the source is specified to supply enough current to safely supply all fans together. Too high loads may result in damages to the system.